Would you be able to escape a locked room in 1 hour? 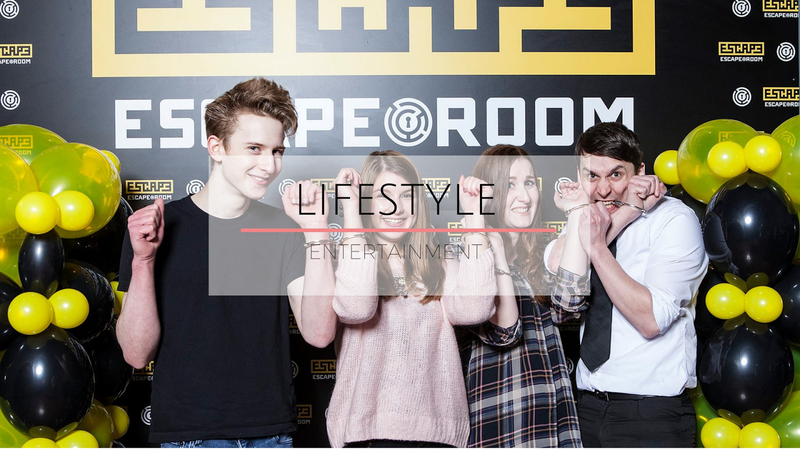 Escape Room is a new real-life interactive breakout experience, and one of the best ways to spend time with your friends, family or colleagues. Think Crystal Maze meets MacGyver (with a hint of Saw). Escape each of the 5 themed rooms by finding and solving clues and puzzles in 60 minutes. Be prepared to be challenged mentally and put your team work to use to escape as fast as possible. 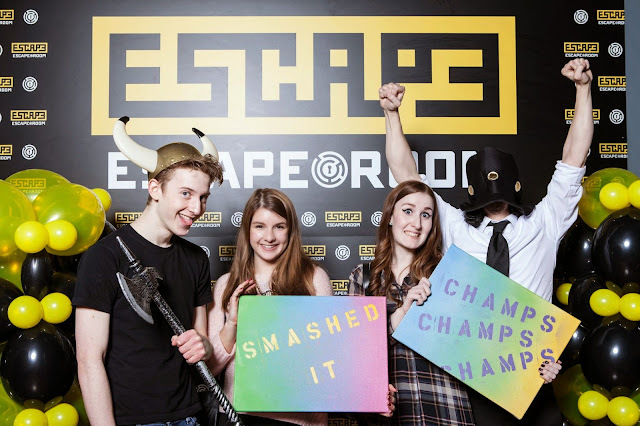 Why not visit in two teams and compete to see who can escape the fastest? 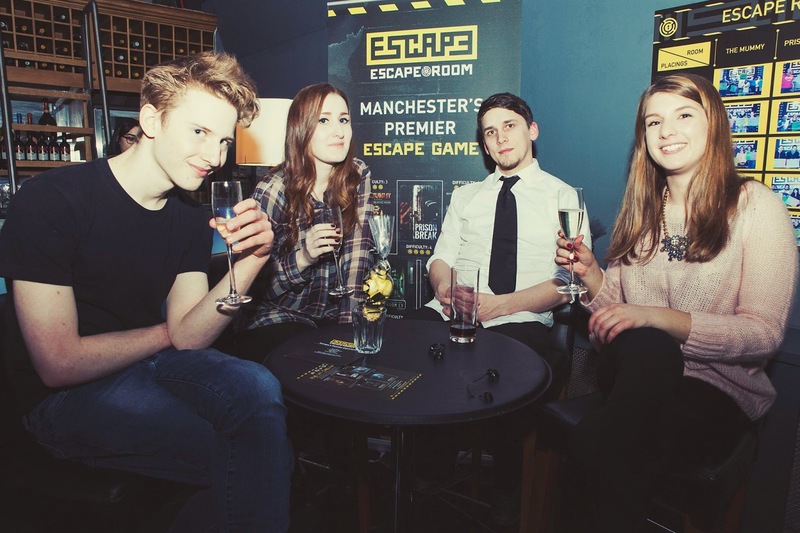 Last Monday I visited Escape Room Manchester for the first time by invite of the lovely Stephanie at Ledigo PR. I know that a few of my friends had been there before, but I tried not to ask them about it, not to ruin the surprise and not to have an advantage over the other teams. Open for just over 6 weeks now, this space is amazing! 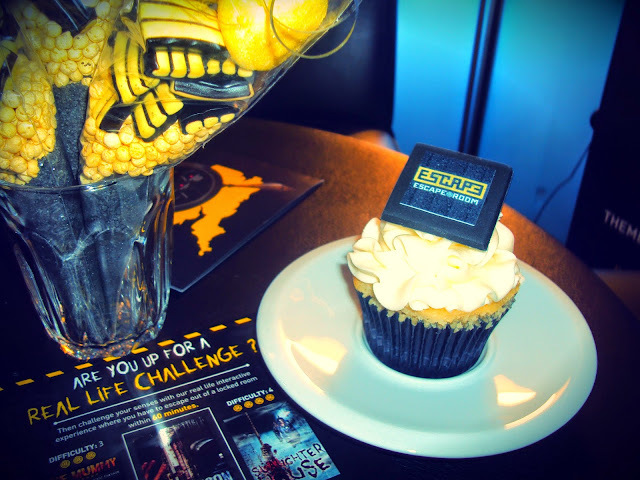 The dark walls, black and yellow decoration, and even the music played were all perfectly planned out and add up to an amazing overall experience. 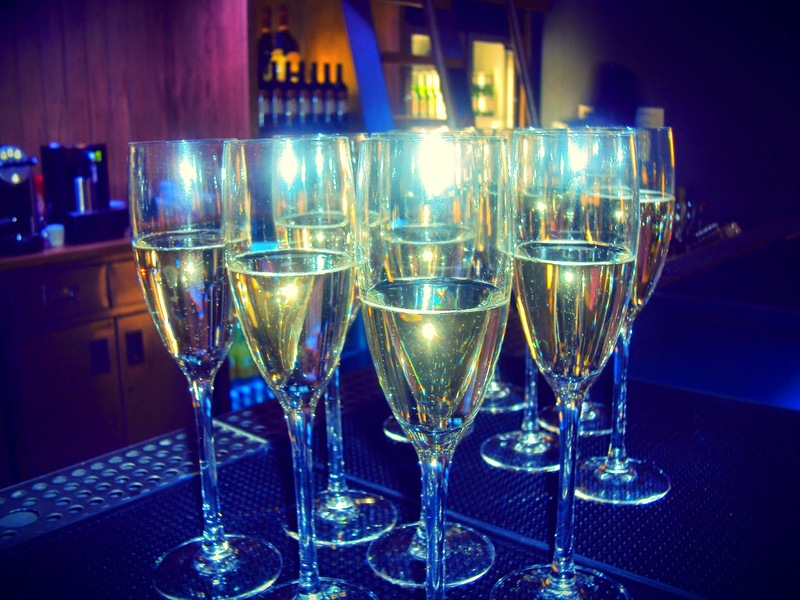 Pair this with a chic and affordable bar and you have the perfect combination for one of the best entertainment spaces in Manchester. After a lovely Prosecco reception with candy and cupcakes by Zara Cupcakes in the colors of the event - black and yellow - we formed a team of 4 and were informed that we would be experiencing the Jail Break room. The challenge started with us being handcuffed together even before entering the room - is there a better way to bond? After a short briefing by the Escape Room team, we were left in a cleverly designed room to escape. I don't want to give away any details about what the inside of the room is like, but I can tell you that all your senses will be challenged. And facing so many puzzles, an hour seems like 10 minutes. In the end, we managed to escape the room in about 50 minutes, earning ourselves a spot on the Wall of Fame. Afterwards, we got a tour of the space by the General Manager Chris Ward, where we got to learn about how the space developed and their plan for the future. I can't reveal too much, but they have some exciting changes coming very soon, so I would recommend paying them a visit. I am really sorry that my pictures aren't very informative, but I wouldn't want to ruin the experience for others! Are you up for a real life challenge? Book with The Escape Room now and use the code Ledigo25 for 25% off your first challenge.